We hire to all types of events. Our mobile simulators carry an up to date list of simulation experiences from a flight in a RAF Tornado to a pure adrenaline rush of riding in a F1 car. We provide a professional & friendly service. Mention web for 10% off. 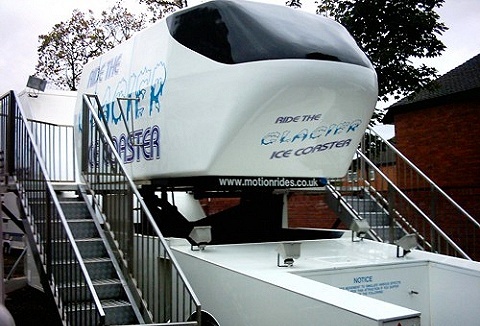 We supply and operate a range of rides and activities for outdoor events as well as private hire. See if you can still stand up straight when you've tried the zorb ball roller or taken a spin in the gyro space wheel or high you can jump on our trampoline. 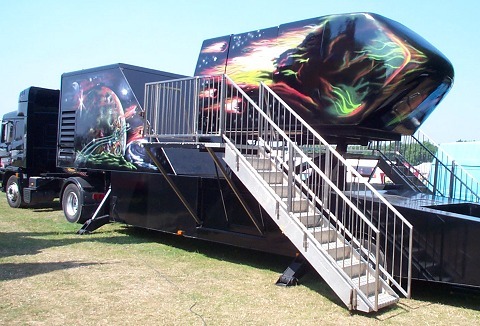 A mobile simulator is a great piece of entertainment at any event as the programmes are changeable making it a fresh ride every time this is changed. All our experiences/films are on DVD, with high resolution screen and a high definition projector.